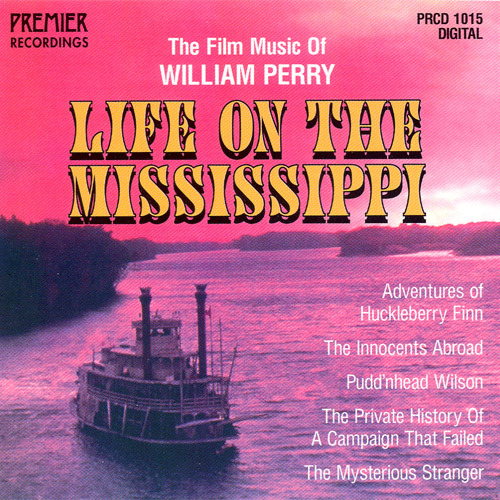 This is the original recording of William Perry’s music for the six feature films based on the celebrated works of Mark Twain and presented nationally by PBS and internationally over the television networks of more than thirty countries. 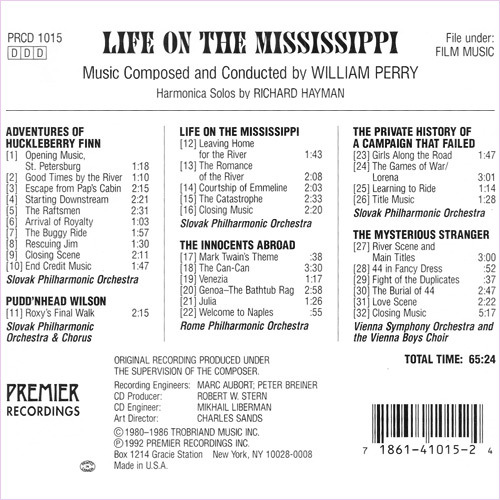 This CD has long been out-of-print, and while the music has been expanded and re-released by Naxos Records under the title The Innocents Abroad (see above), there are many collectors who would like to have the original release. A very few copies remain and are offered here while the supply lasts.